Available in USA Only. From outside of the United States please see our Digital Catalog. 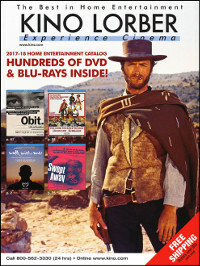 The Kino Lorber catalog contains over 500 video or DVD classic and contemporary world cinema titles available for home viewing. Please provide your address and you'll be included in our mailings with new products and special offers.